Dave Robicheaux is a haunted man. Between his recurrent nightmares about Vietnam, his battle with alcoholism, and the sudden loss of his beloved wife, Molly, his thoughts drift from one irreconcilable memory to the next. Images of ghosts at Spanish Lake live on the edge of his vision. 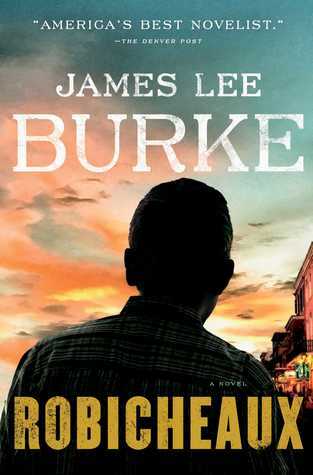 There’s a brutal poetry and strange majesty to two-time Edgar winner James Lee Burke’s novels, a beguiling mix of beautiful passages and vile deeds, God-kissed landscapes and grotesque characters. Burke’s latest book sees the return of grizzled Louisiana investigator Dave Robicheaux for a twenty-first turn on the dancefloor – and Robicheaux has plenty of eclectic partners to zydeco with. Sparked by the tragic death of his wife in a motor vehicle accident, the aging Robicheaux is teetering and about to topple. Assailed by his decades-long battle with alcoholism and penchant for morose thoughts and musings on history and morality, he tumbles off the wagon. Hard. He wakens from a blackout the lead suspect in the killing of the man blamed for his wife’s death. And that’s not the only problem in Robicheaux’s life, as he and old pal Clete Purcel crisscross paths with a corpulent gangster who wants to be a Hollywood producer, dirty cops, venal criminals, race-baiting power players, and a slimy local politician and a local bestselling author whose moneyed lifestyles badly spackle over the sins of their pasts they continue to struggle with. Oh, and a bizarre killer who gives ice-cream to kids and abhors impoliteness, before blowing people’s heads off. ROBICHEAUX is another masterpiece from Burke. The past elbows hard into the present, Robicheaux is haunted by dreams of Vietnam and ghostly sightings of Confederate soldiers, and the best and worst of humanity is often jarringly contained within the same characters. There are beautiful passages of writing, where Burke seems to tiptoe along a tricky tightrope, bulls-eyeing onto lyrical and thoughtful while avoiding tumbling headlong into florid. A master at work. Robicheaux may be a ‘noble mon’, as Clete is wont to say, but there are plenty of times he hurts and kills others without hesitation. He's got more layers than a box of onions, and at times can seem a bit of a contradiction; he's utterly human, raw at times, authentic and complicated. He lives in a violent world, where those wearing the white hats and the black hats are both prone to physical force. And at times it can be tough just who are meant to be the good guys or bad guys (though there are, as always, some particularly noxious characters who populate this latest Robicheaux tale). Overall, ROBICHEAUX is a heady gumbo of a literary thriller where everything is multi-layered, blending, contrasting, and stacked with flavor. It won't be to everyone's taste, but is quite exquisite.